Its was the continuas 3rd "Third" hack bySilent Hacker. IbrarCentre.PK "Number 1 classified ad ads posting site in pakistan" , whatmobile.com.pk " Pakistan's Biggest Mobile Store whatmobile.com.pk" big hackes and now KCPS. 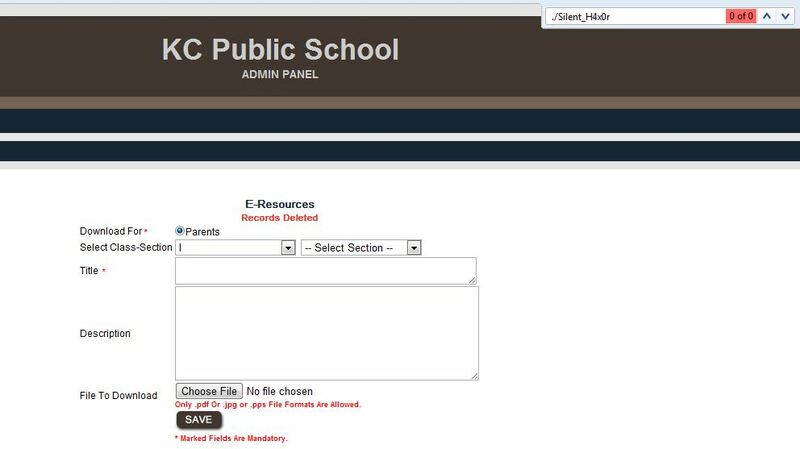 KCPS is one of the famous Campus in jammu now it's hacked by silent hacker then the link of database dumped. KCPS is one of the famous Campus in jammu ,India now it's hacked by silent hacker then the link of database dumped.